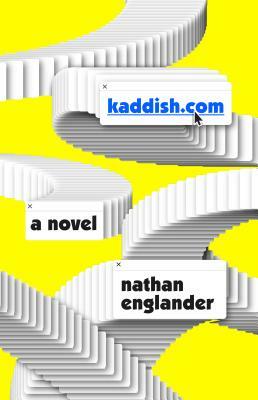 A young man who’s left the fold of his ultra-orthodox Jewish upbringing refuses to say the Kaddish when his father dies, passing the responsibility to a website. As time passes, he regrets this. And there’s the crux of Englander’s brilliant satire in Kaddish.com. It’s about mortality, what we owe the dead and what we owe ourselves, and it’s a contemplation of the power of faith in all its hilarious, corrupt, heartbreaking, hopeful extremes. It’s a true tragedy, too, profoundly funny as it depicts the absurdity of the world’s crushing, indifferent cruelty in the face of a man’s deeply held faith. Englander has pulled off some sort of magic trick - he’s written a book so compelling it makes you wish you could be a believer, too, even as you watch each step in the journey go as poorly as possible. When his wife asks what’s wrong, our hero says, “it’s mental indigestion. A little reflux of the soul.” And that’s just what this novel is. This is the first book I’ve read by Englander, and I will be reading more.